· Roast Rava on amedium heat for 10-15 minutes,stirring occationally. · Repeat sprinkling water till the flour is wet. · Take water in a puttu kudam and allow it to boil. 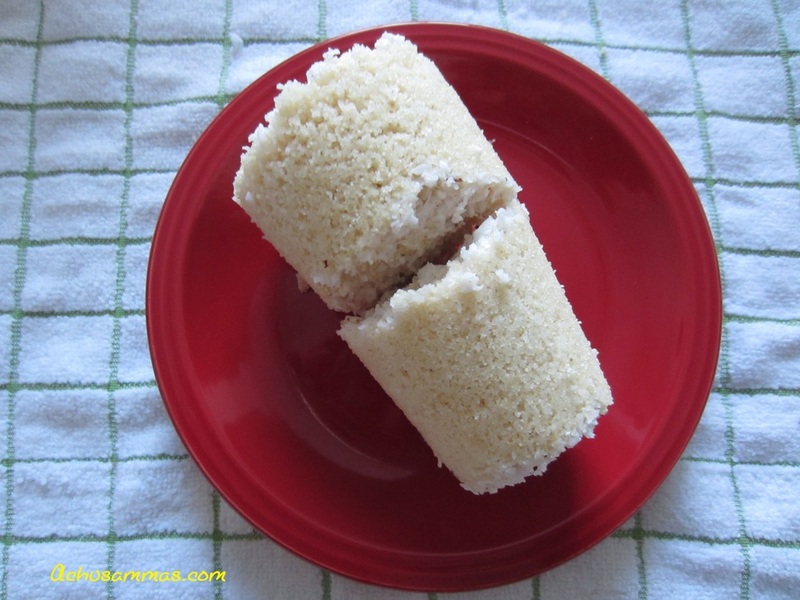 · Add 2 tbsp of coconut to the bottom of puttu kutty,then add rava till the middle of puttukutty,followed by coconut.Continue adding rava and add finally some coconut on the top. · Place the puttu kutty on the top of puttukudam and allow it to steam. · Cook for 5-10 minutes after steam comes out from puttukutty.